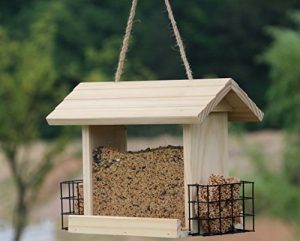 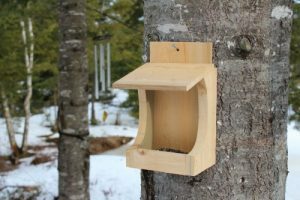 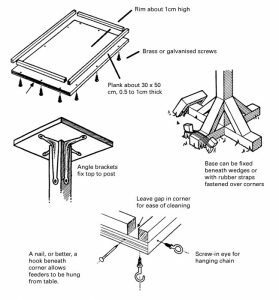 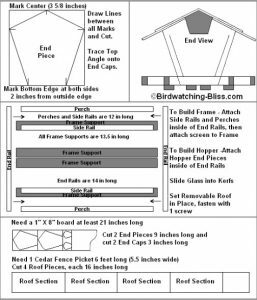 If you have an undying love for birds and are pondering over ways to make a bird feeder, then consider making ones out of wood as they have a greater longevity and durability. 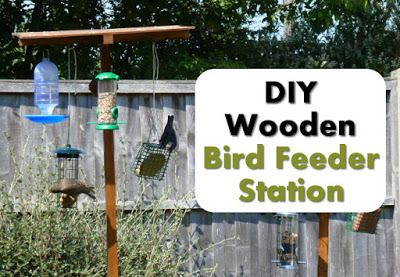 Place this wooden bird feeder in your garden if you have one and your feathered friends would have a whale of a time in gorging on whatever is there inside. 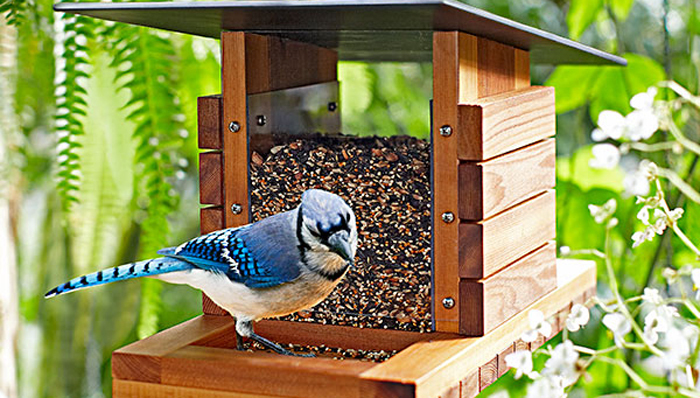 This enormous bird feeder would be apt if you have too many birdies thronging at your home. 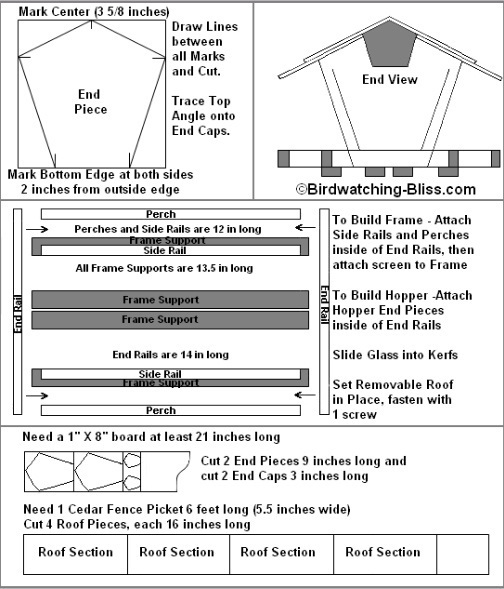 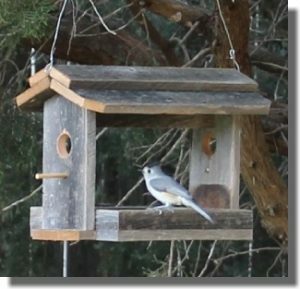 Go for a bigger of support if you intend to provide shelter to the birds when the weather is rough. Setting the lip at the bird feeder at an increased height helps in keeping away squirrels and other garden pets which could rampage it. 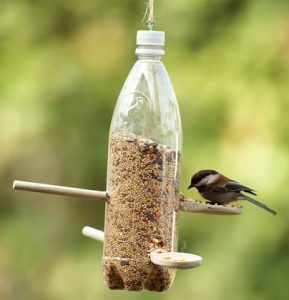 The spoons emerging from the plastic bottles give the bird feeder an innovative look. 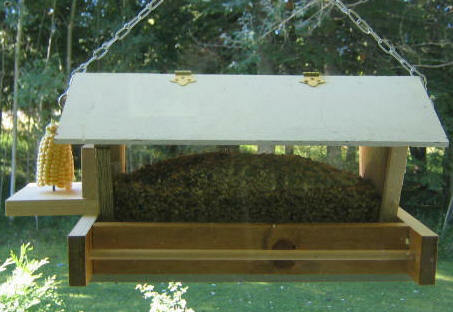 Using soffit material at the bottom of the feeder helps draining out the rainwater. Taking a cue from the instructions above, this bird feeder can be made in the same way, the only inclusion being the baskets at the side. 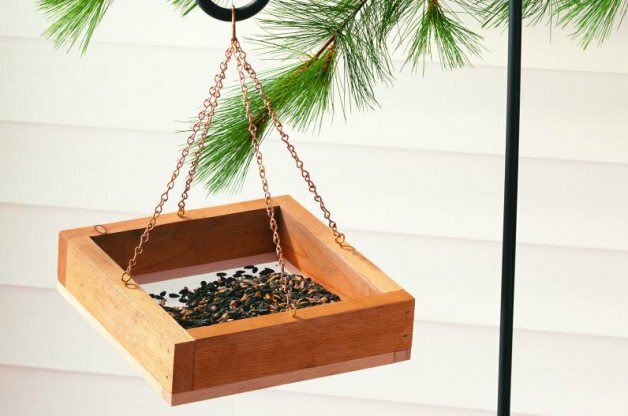 The chain hanging from the tree gives it a unique look altogether. 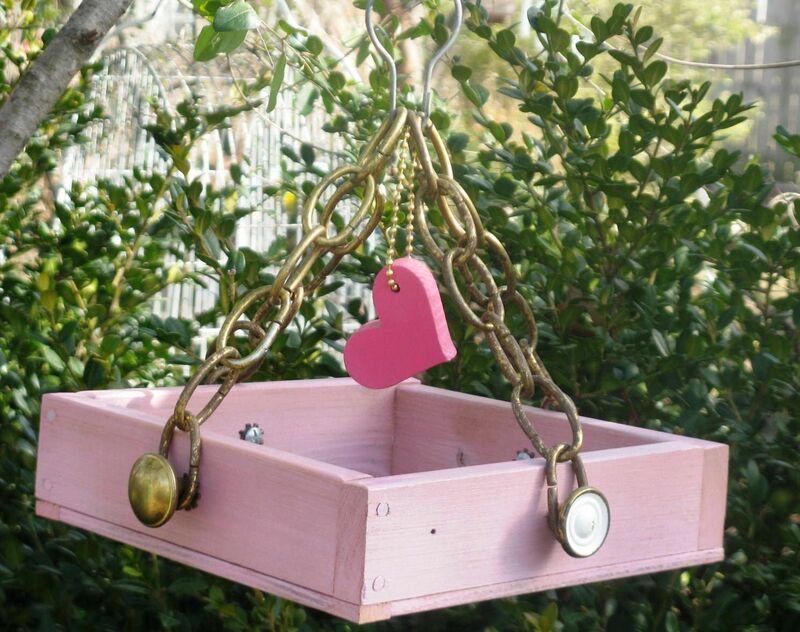 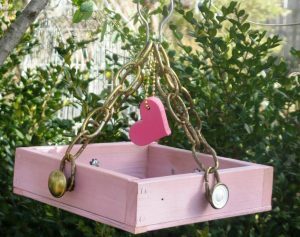 For a cool and funky look, paint the bird feeder pink as shown in the picture below. 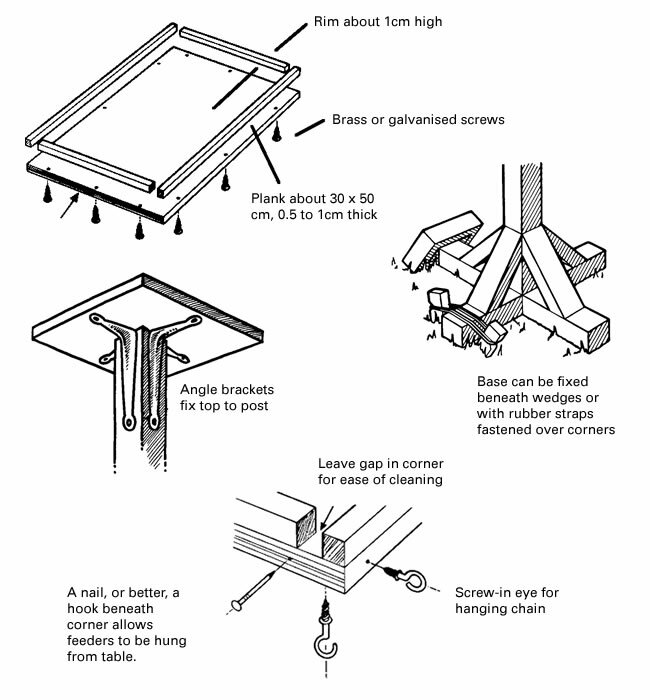 Color the popsicle sticks green if you plan to make it as a part of your Christmas craft. 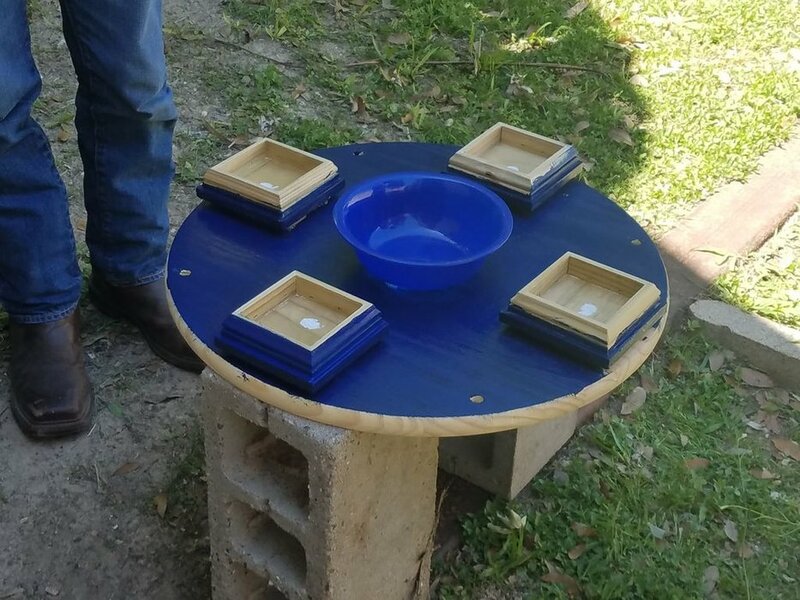 The circular shape of the wood, and the blue paint smeared on it gives it a royal look. 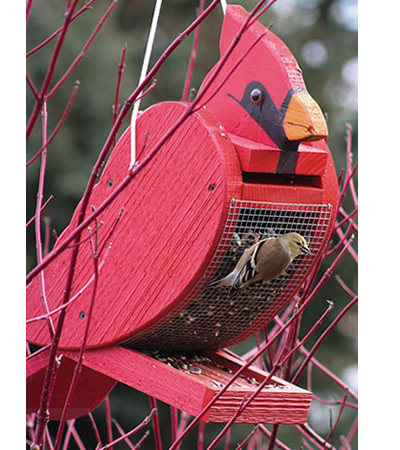 Taking a cue from the tutorial above, a bird feeder in the shape of a cardinal bird can be made. Set it at an increased height to prevent squirrels from pecking at the seeds. 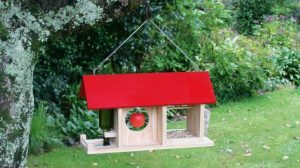 This red bird feeder would be a perfect Christmas fiesta for your birdie. 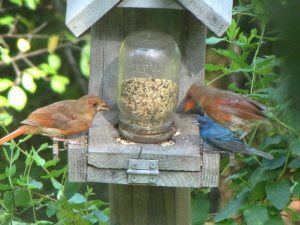 Paint the mason jar, selecting the color in accordance with the occasion to for a grand appearance. 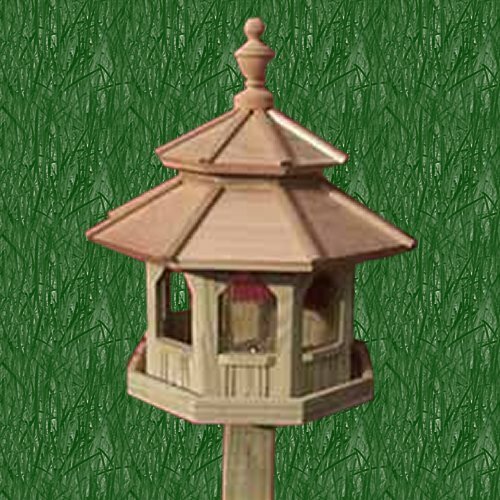 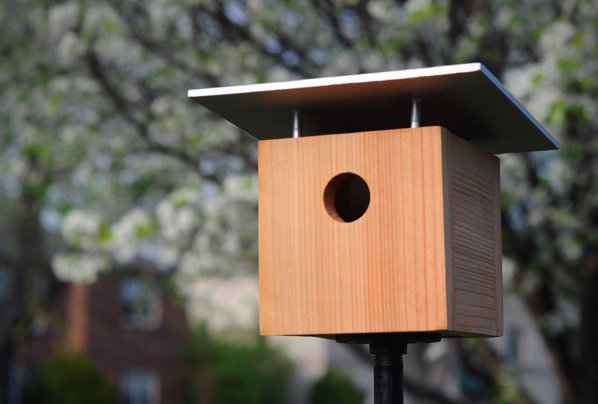 If you have a lot of birds frequenting your home, then this wooden bird station would be a perfect choice. 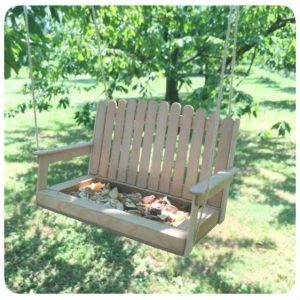 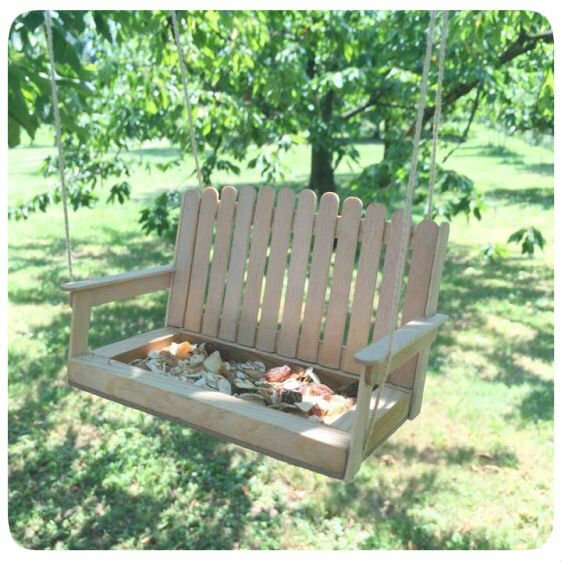 These wooden bird feeder ideas are indeed spectacular to help you cherish your desire of bird watching. Besides wood, you can make bird feeders using other objects like PVC pipe, pine cone, milk jug, and milk carton.